The inimitable Cathy Pope has worked in the highly competitive fashion, TV, theatre and wedding industries. She knows what it takes to stand out. Her incredible bespoke jewellery designs celebrate the natural imperfections in the materials to ensure each stone is as unique the wearer. Her designs have a timeless feel while being simple enough to be your go-to daily statement pieces. We just love ‘em! With the 2017 designs under production it became clear her current website wasn’t going to cut it for the direction of her future collections, so we put our heads together to plan an exciting new revamp. Cathy wanted the new website to feel contemporary and beautiful to use, while also reflecting how she’s inspired by the women who choose wear her designs. We set to work to create a powerful eCommerce site with a gorgeous new visual identity that could be woven throughout other media spaces such as Facebook and Instagram. 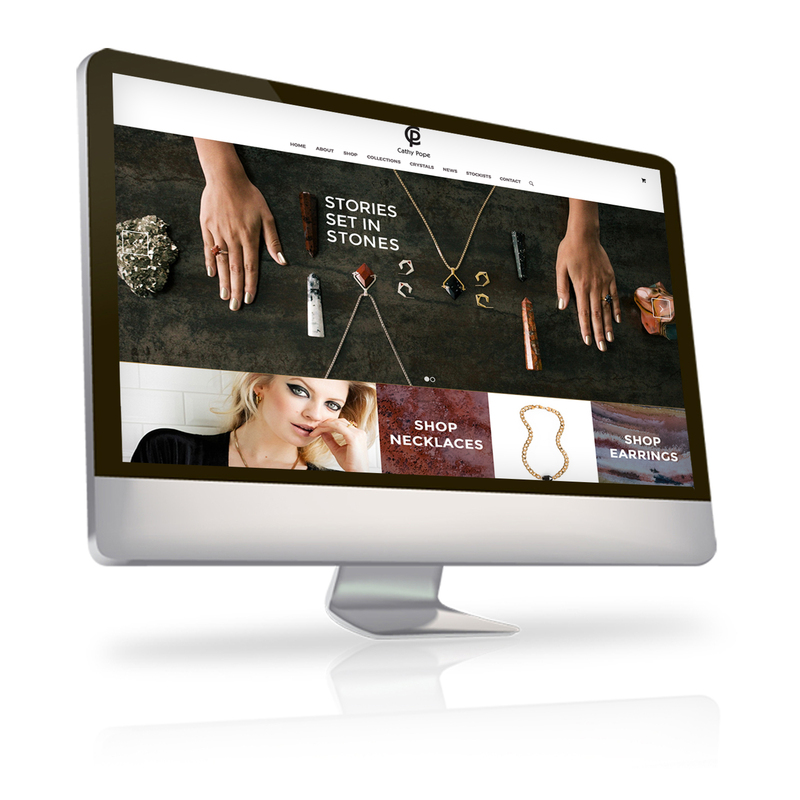 Our goal was for the new site to embody Cathy Pope’s brand essence while showcasing the remarkable choice of stones and their one-off nature. We wanted visitors to the site to realise they were looking at boutique designs not mass-produced jewellery and to easily discover the piece that resonates with them. The resulting site is a celebration of colour and texture, showcasing the multi-faceted talents of Cathy Pope as both designer and stylist. An inspiring new format emphasises the versatility of the jewellery, with images of how it can be worn and with what colours and skin tones. The new functionality makes it a breeze for customers and wholesalers to find the products they want and then even save their favourite products and return later. Tanker is skilled at producing beautiful, user-friendly eCommerce websites that help guide customers from their first click through to making a purchase. If you’re having trouble converting visits into sales, or even just getting the visits themselves, we can help!